Saw this in an email from Noble Grape. Seems interesting, but $45 bucks seems kind of steep! I got the same email and was excited until I saw they were made of plastic and so expensive! I saw this too and plan to get one, I like the size, the wide opening and the plastic. I like the weight of plastic, and am not brewing anything too funky right now so this will work for me. I have a Better Bootle and I like it. I do wish it had a larger mouth like this one for easy cleaning. I like having glass for Brett and sours otherwise for beer I'd like to turn around quickly plastic is a nice alternative. I see myself buying a couple of these in the near future. 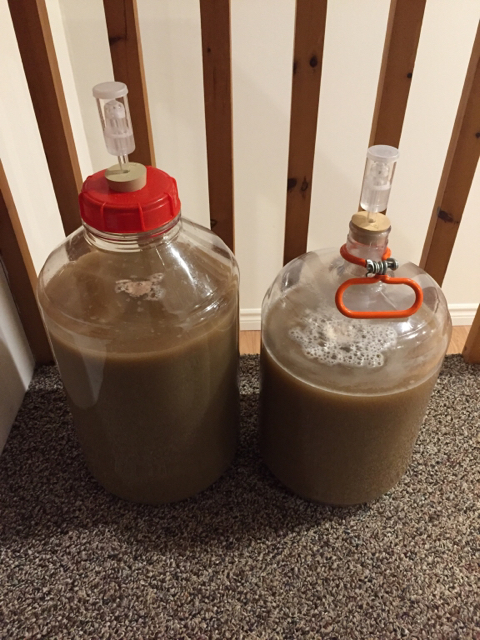 Two 4 gal carboys would be nice to split a 6 gal batch when adding fruit. I like to stick with glass as much as possible and away from plastic because of environmental issues. Grabbed one of these today, love the capacity and the weight. I'll just be careful with cleaning and should work great! That's an american wheat @robcoombs ... 60% 2row, 40% wheat with orange and coriander. I'm going to add cherry puree to the big one. Nice! 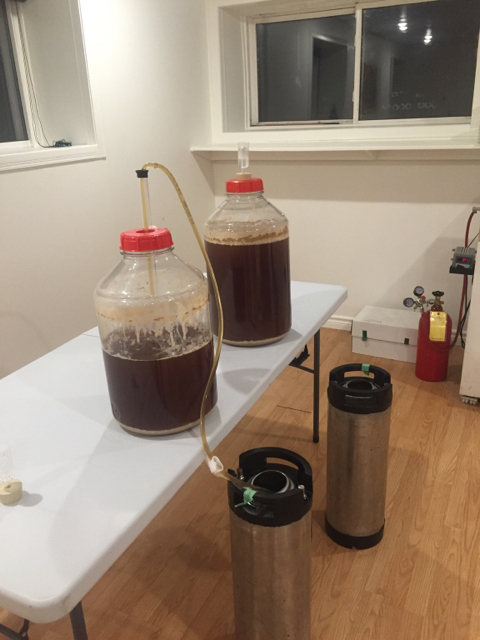 I should have probably put two and two together from the What's Brewing thread though. I'll be interested to see if the indent on the bottom helps with sediment while racking. Me too. I think this batch will be challenging to tell with the fruit addition, but it does look like it should help with a normal batch. Update on this... completed my first batch on this and loved it. If I didn't have the fruit addition, the indent would have been the perfect height to rack without getting the siphon in the yeast. When I was done I cleaned out with a soft cloth and oxi solution, gave a rinse and was done cleaning that unit in about 3 minutes. The carboy I was using for the second half of the batch is still soaking in oxi and will require a good scrub. I'm sold on these fermonsters... getting another one before the next brew. Hands free racking, using the indent!